Deer hunters follow many paths to success. Some hunters carry bows. Others favor firearms. Some dress in camouflage and sit in trees. Other hunters stay on the move, stalking the woodlands in blaze orange apparel. 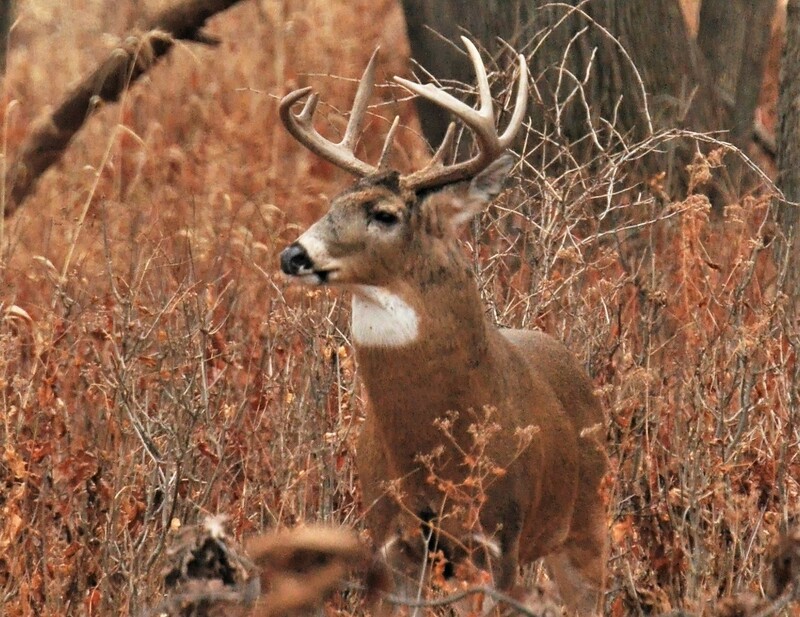 Although methods vary, deer hunters have one thing in common. 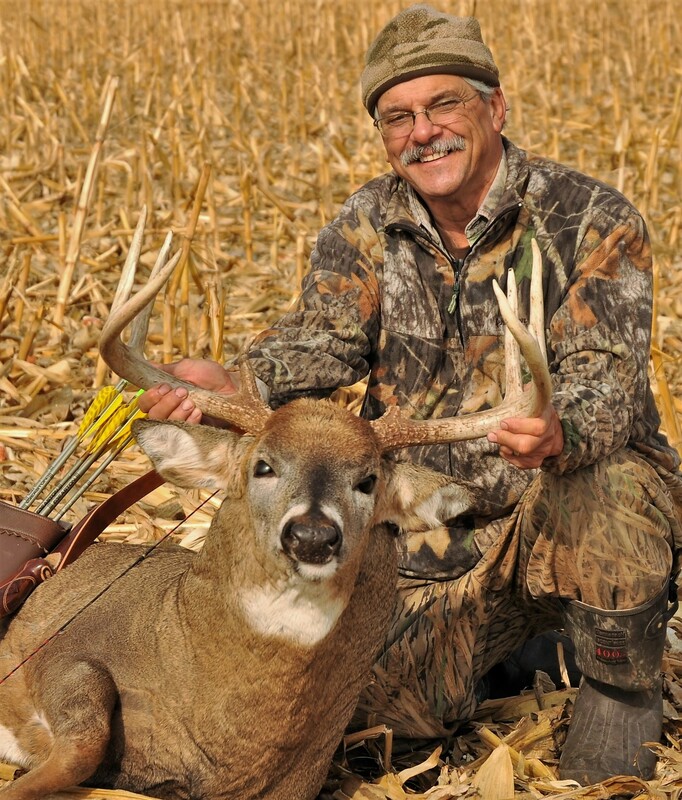 They all dream of bagging a monster buck – the deer of a lifetime. Giant bucks have a universally unnerving effect on the human psyche. I’ve never known anyone who didn’t get the shakes when a big bodied, tall-tined buck stepped into view. No one can say when our fascination with deer antlers first began. But judging from hunting scenes etched onto the smoky walls of ancient caves, we know it’s been going on for a long long time. And although we no longer paint artistic renditions of antlered game on cave walls, our hunting heritage is alive and well. Modern-day art prints depicting heavy beamed deer hang in our living rooms; lifelike taxidermy looms above the fireplace. A full color calendar displaying ginormous bucks hangs next to the back door. At times, our fascination gives way to obsession. Although we no longer hunt to live; there are those who live to hunt. Not all white-tails are created equal, of course. Some are big. Some are huge. Some bucks grow antlers so outrageously large that we give the deer names. Home Wrecker, Kong, and the Hay Fork Buck are among the dream proportioned white-tails that I’ve had the personal privilege to view and hunt. Most of those trophies are still roaming the timbers. Instead of glamorous monikers like Old Mossy Horns or Tall Ten, most of the bucks I actually manage to put in the freezer would be better suited to handles like Spike or Forkey. Regardless of whether we bring them home or not, legendary bucks live forever in our minds. The Gray Faced Buck is one of those deer that continues to haunt my memory. Our first encounter occurred on November 1st, 2014. 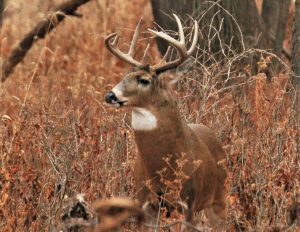 The annual rut was in full swing, and I had set a portable blind along a strip of hay ground bordering an oak woodlot. At first light, I saw a large buck passing at about 40 yards. When I hit the grunt call, the deer hit the brakes and turned in my direction. I kept calling; the deer kept coming; finally halting at a distance of twelve paces. High, wide, and handsome; it was the kind of buck from which dreams are made. From my ground level perspective, it seemed as if the white-tail and I were nose to nose, eyeball to eyeball. I could see every detail – his symmetrical main beams, his distinctive gray face, even the pencil line scar on the left side of his muzzle. Although the deer was standing head on, he eventually turned, offering a perfect broadside shot. Drawing the bow, I took aim and released the string. 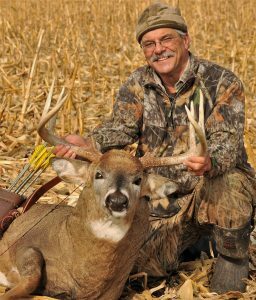 It is likely that I’ll never forget the sight of that beautiful brightly fletched arrow as it cleanly passed just an inch or so below the deer’s rib cage. 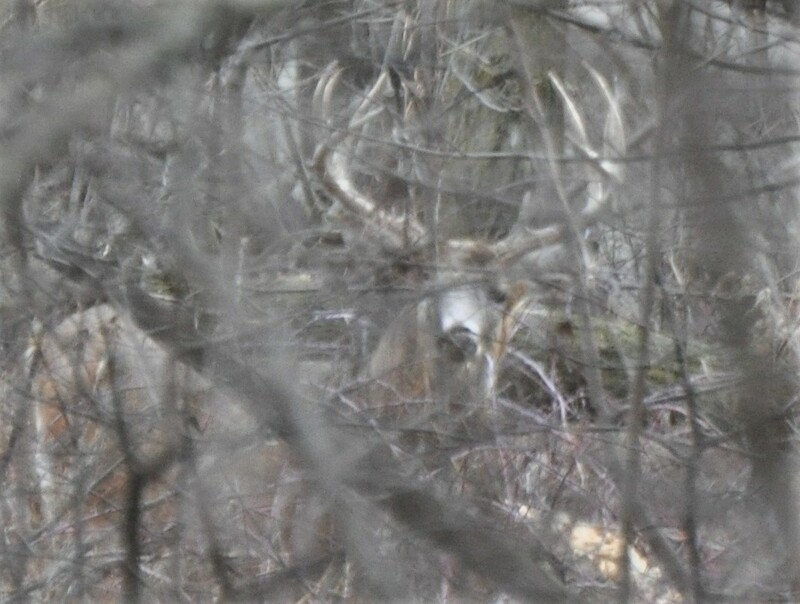 I’ll also not forget the sight as the Buck of my Dreams bounded into the woods and out of my life. I didn’t see the Gray Faced Buck again until December when he reappeared just a couple hundred yards from where we had our first encounter. He was less cooperative this time, preferring to remain in thick brush while harassing a nearby doe rather than investigate the sound of my calling. Our third and final contact came in early January. Six inches of sparkling snow blanketed the landscape and I was pleased to see evidence of ample deer activity. It was cold though. Wind chills had plummeted into the minus double digits. I had a hard time sitting still. Although my morning hunt was a bust, I felt certain that deer would be on the move well before sunset. The theory panned out. By late afternoon I began to see some does moving through the timber. I soon spotted a larger deer moving in my direction. As the white-tail drew closer, I could see the animal was a mature buck. It was, in fact, the Gray Faced Buck – the very deer I had been dreaming of during more than two months of hunting. Unfortunately, the majestic, post rut buck had already shed its antlers. Although I would have given anything to bag the woodland giant earlier in the season, I now decided to let him walk. Hard to explain, but it just seemed somehow ‘disrespectful’ to shoot such a magnificent creature in his current diminished state. Continuing his approach, the huge bodied deer passed within 20 yards – totally oblivious of my presence. Although I saw the deer two more times during the 2015 season, the encounter was as close as we would ever come. Spend enough time in the deer woods and, sooner or later, the pendulum will swing in your favor. Like the time I was just getting ready to crawl out of the tree when a flash of movement caught my eye. It was a young doe, running toward me as if the wolves were at her heels. A larger doe appeared from the same direction, also running by at full speed. Although circumstantial, the signals were clear, and I suspected that a buck would soon appear. Tightening my grip on the bow, I wondered if the deer would be large, small, or maybe somewhere in between. The minutes ticked by, but the anticipated buck failed to appear. I had finally begun to relax when the long-awaited deer suddenly came into view — a beautiful, wide racked, neck swollen, square bodied, giant making a deliberate, swaggering approach in my direction. My pulse rate skyrocketed; my fingers began to quiver. I had the shakes. Moving at a steady pace, the buck remained out of range and would soon pass beyond sight. Grasping the grunt call, I attempted to imitate a rival buck. The ruse worked: the deer moved closer. Drawing the longbow, I took aim and launched the arrow. The missile struck home and the buck took off in high gear, quickly disappearing over a low hilltop. Regaining my composure — well, at least partially; no, not much at all — I began to ponder my next move. Should I immediately go after the deer, or should I wait? The suspense was killing me. I still had the shakes – worse now than before I shot. While still weighing my options, I became aware that another deer was making its approach. 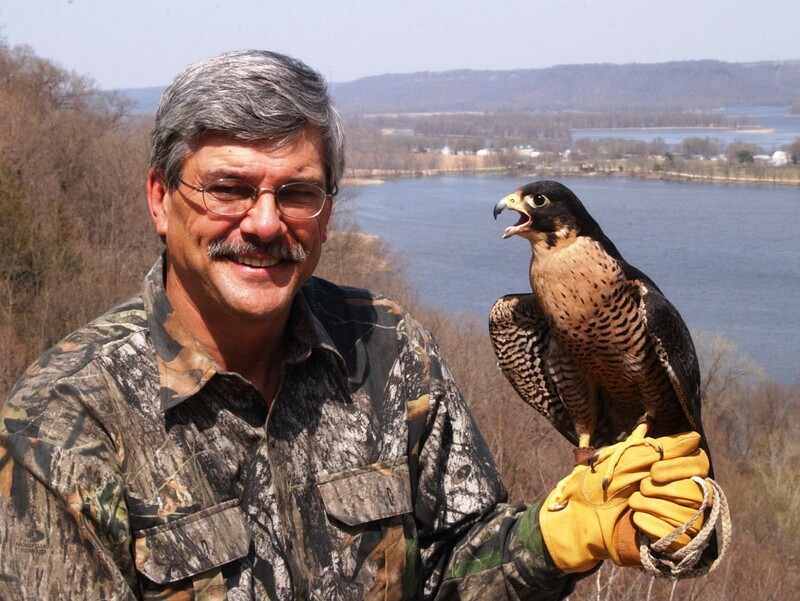 Imagine my amazement when I realized that the animal was another neck swollen, fully mature giant. I couldn’t believe my eyes! 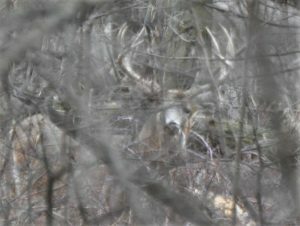 Less than four minutes had passed since shooting the first buck, and I now had a second monster standing within 15 paces. Although I didn’t know it yet, the best part of the story was that the buck I had just shot was already lying dead just over the hilltop. Spend enough time in the deer woods and, sooner or later, the pendulum will swing in your favor.